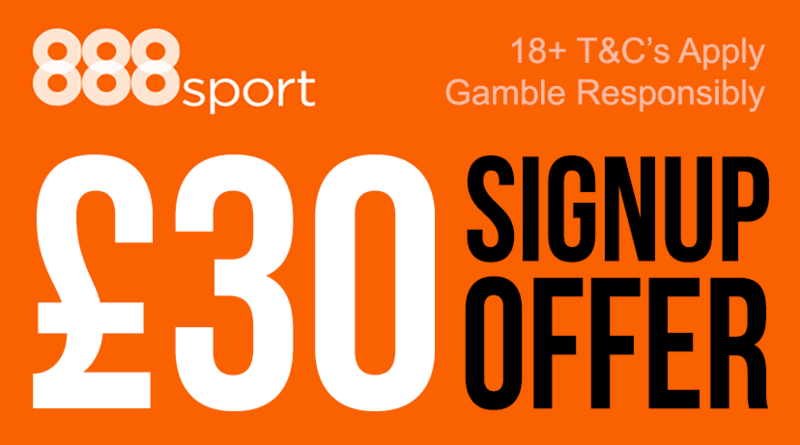 888sport's signup offer is very generous as you'll get £30 in bonus bets when you bet just £10. In order to claim the 888sport signup offer, simply visit 888sport.com via any of the links on 'British Bookmakers' and register a new account using promo code '30F'. Next, simply deposit at least £10 into it and place a bet on any market at odds of 1/2 or greater. Then once settled, 888sport will credit your new account with £30 in bonus bets. 888sport break this £30 in bonus bets into two £10 bonus bets to use however you want and one £10 bonus bet for you to use on 888sports mobile site. This is one of the best aspects of the 888sport signup offer as it lets new customers experience so much more of what they offer - with only a £10 bet required to activate it. 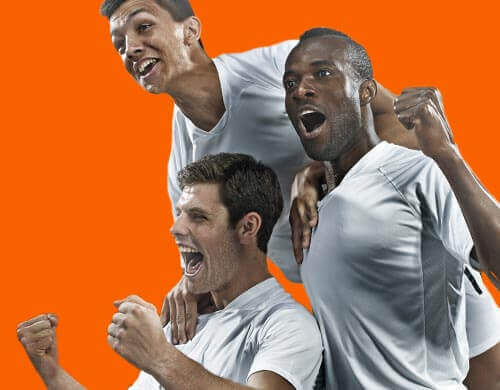 So, if you're considering signing up for a new sports betting account with 888sport then make sure you claim the great offer that 888sport reward new signups with!